Designed to bring out the chef in you, Marcela is an over-sized copper farmhouse sink specifically made with the gourmet cook in mind. 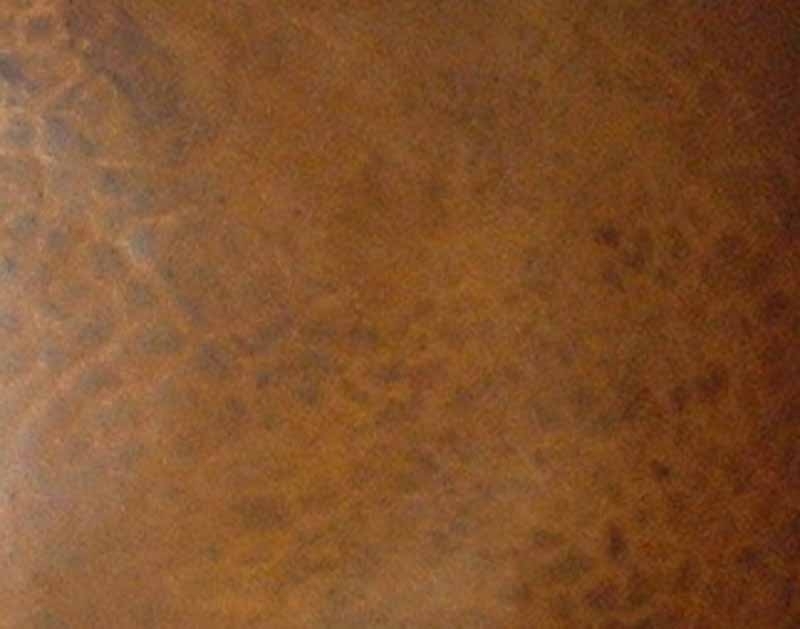 With or without her apron front, you can install Marcela as an under mount kitchen sink or 'drop' her in the counter to show-off the details of her beautifully hammered copper rim. 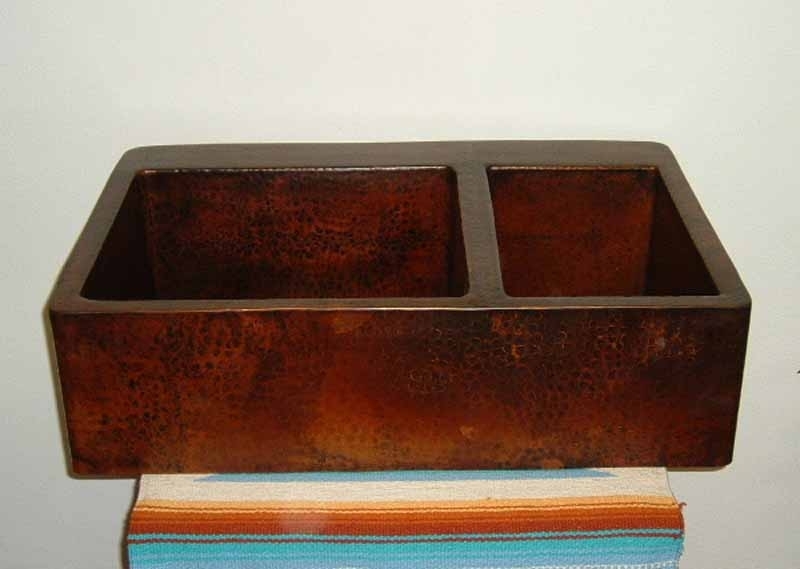 A comfortable, 10" deep copper kitchen sink with roomy basins and slanted front interior walls, Marcela is a pleasure to work in and a joy to own. No doubt you'll suddenly find yourself spending a lot more time in the kitchen... and, loving every minute of it!